The Ebola epidemic is currently the biggest non-conflict crisis in the world. Almost 6000 people have lost their lives and thousands of people have been infected since the first outbreak in March 2014. The epidemic has also had a devastating impact on affected West African economies in a variety of essential sectors. Through international emergency appeals in Guinea, Liberia, Sierra Leone and Senegal, the Red Cross movement continues to support worst affected nations through their local arms of the Red Cross in the fight against Ebola. Local volunteers are playing a key role in ensuring access for response teams and in dispelling fear about the disease. The Norwegian Red Cross is contributing personnel and equipment to the emergency operation, particularly in Sierra Leone. Personnel are specifically trained to handle the extreme situation on the ground, and are deployed to missions lasting 4-6 weeks. 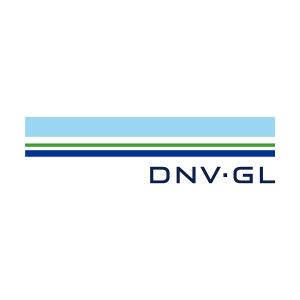 As part of our ongoing partnership with the Norwegian Red Cross, DNV GL has established an employee donation campaign for those who wish to contribute to the Red Cross relief efforts. The donation campaign was closed on November 29th 2014 at a total of 54 139 NOK, which has been matched by DNV GL Group. The donation campaign has now been reopened and you can still make a difference.The Red Cross is thankful for all contributions. Together we make a difference!